Make Your Next Job with the Keys! FREDERICK, MD-Individuals in search of a fun and exciting part-time job do not have to look much further! 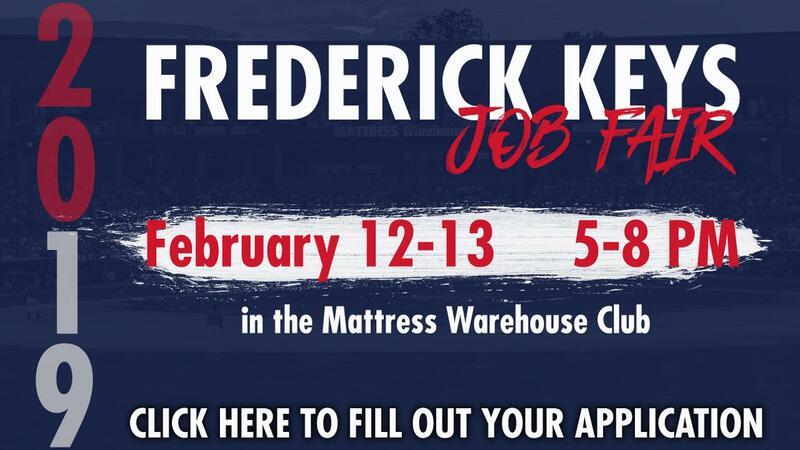 The Frederick Keys are holding their annual two-night job fair on Tuesday, February 12 and Wednesday, February 13. Interviews take place from 5-8 p.m. in the Mattress Warehouse Club at Nymeo Field at Harry Grove Stadium. The MWC is located on the suite level of the facility. In order to take place in the job fair, individuals MUST fill out an application by clicking here. This can also be accessed by visiting frederickkeys.com, scrolling to the Nymeo Field at HGS tab and clicking on "job opportunities." Candidates should also bring along a copy of their resume.